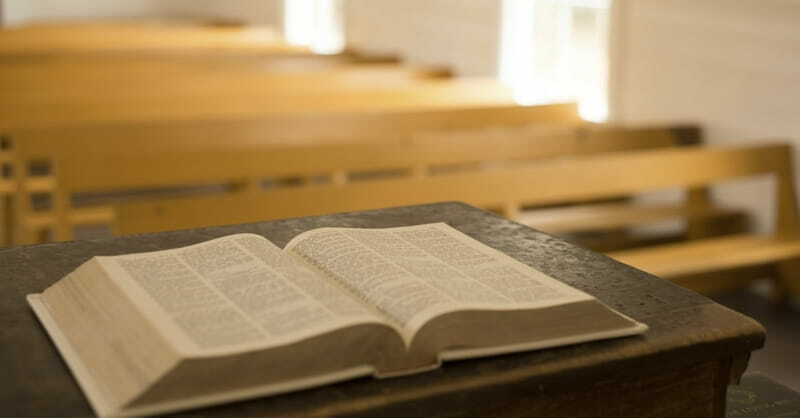 This post is the second of three in a series on Preaching in a Secular Age. The previous post in this series examined Peter Berger’s explanation for the progress of secularization in the Western world. In addition to Berger, Canadian philosopher Charles Taylor has also carefully traced the influence and effects of secularization on the West. As he explains in his important book, The Secular Age, the way people hold to theological convictions and religious principles in the modern era is fundamentally different than how people believed in the past. Modernity has made religious belief provisional, optional, and far less urgent than it was in the pre-modern world. I had this notion pressed upon me in some force when I was a doctoral student and I had the opportunity to attend a seminar with Heiko Oberman, a prestigious history professor from the University of Arizona and one of the world’s greatest scholars on the Reformation. Oberman was about seventy years old at the time; I was in my early twenties. Halfway through the lecture, Oberman, through no fault of our own, became exasperated with the class. “Young men,” he said, “you will never understand Luther because you go to bed every night confident you will wake up healthy in the morning. In Luther’s day, people thought that every day could be their last. They had no antibiotics. They didn’t have modern medicine. Sickness and death came swiftly.” Oberman’s point was that when Luther closed his eyes at night terrified he was afraid he might wake up in hell. Luther recognized that every day might be his last and he could very quickly find himself either face to face with God or the devil. Taylor makes the same point, although not as anecdotally as Oberman. As Taylor notes, on this side of modernity when people believe, they are making a choice to believe that previous generations did not make. Belief is now a provisional choice, an exercise of personal autonomy. When people identify as believers in Jesus Christ they are making a far more individualistic statement than was possible in years past. Furthermore, they are doing so in the face of alternative worldview options that were simply unavailable until very recently. In fact, as I was doing research for my book on atheism I learned that the very first use of “atheist” in English came from Miles Coverdale who invented the word during his time translating Scripture. The remarkable thing to notice is that Coverdale had to invent a term for someone who did not believe in God because he did not know anyone who actually held that conviction. No one in the Elizabethan age would have denied God’s existence. Perhaps the central insight from Taylor’s book is his categorization of the pre-modern, modern, and post-modern time periods with respect to the worldview options available in a culture. As Taylor argues, western history is categorized by three intellectual epochs: pre-Enlightenment impossibility of unbelief; post-Enlightenment possibility of unbelief; and late Modern impossibility of belief. In the pre-Enlightment era it was impossible not to believe. One simply could not explain the world without some appeal either to the Bible or to “enchantment,” to return to Weber’s terminology. No other worldviews were available to members of society other than supernatural worldviews, particularly the Christian worldview in the West. While society had its heretics, there were no atheists among them. Everyone believed in some form of theism, even if it was polytheism. As Taylor simply states, it was impossible not to believe. That all changed with the Enlightenment and the availability of alternative worldviews by which one could frame a comprehensive account of the world set over against the Christian worldview. These alternative worldviews made it possible for members of society to reject the supernaturalism of Christianity for a naturalistic worldview. Taylor’s careful phraseology here, however, is also important to note. While it was certainly possible not to believe, it was also the case that it was not likely that people would reject the Christian worldview because the theistic explanations for life were simply more pervasive, binding, and persuasive than non-theistic worldviews. The intellectual conditions in Europe and on American university campuses have now secularized such that it is impossible for those under such conditions to believe in God. In other words, we have arrived at the third intellectual epoch of Western society: impossible to believe. As Taylor observes, to be a candidate for tenure at a major American university is to inhabit a world in which it is virtually impossible to believe in God. Under the first set of Western intellectual conditions, not everyone was a Christian, but all were accountable to a Christian worldview because there was no alternative. Secularization in American culture has reversed the conditions: not everyone is a non-Christian, but all must operate under a secular worldview that denies the legitimacy of a Christian worldview. In three hundred years, Western intellectual conditions have moved from an impossibility of unbelief to an impossibility of belief. So what does this mean for us as preachers? We must recognize that these intellectual conditions now prevalent in Europe and in the American universities are quickly filtering down from the elites to the general culture. The mechanisms in this process are fairly easy to trace. In fact a number of polls reveal that the greatest predictor for whether you will find yourself in an increasingly secular space comes down to whether you live near a coast, a city, or a university. Given that the future of America is increasingly defined by most of its population being coastal, urban, and university-educated, you can see that the future of America is also increasingly secular. Given these cultural changes, we need to recognize we are not preaching to people who hear us in the same way as previous generations in Western societies. Furthermore, we are not preaching with the same authority, culturally speaking, as we once did because we no longer represent the dominant, established worldview of the culture. Instead we now represent a worldview that is not only considered marginal but subversive of the new intellectual and moral regime. Even the people in our churches believe in a way that is more provisional and less theologically grounded than in previous generations. The question remains, what does preaching look like in the secular city? How do we preach a binding authority when people do not even realize they are under authority? How do we preach the objective truths of a non-provisional gospel? How do we preach the authority of a single book, its singular Savior, and a faith once for all delivered to the saints when most people hold, even unconsciously, to a firm commitment to pluralization?